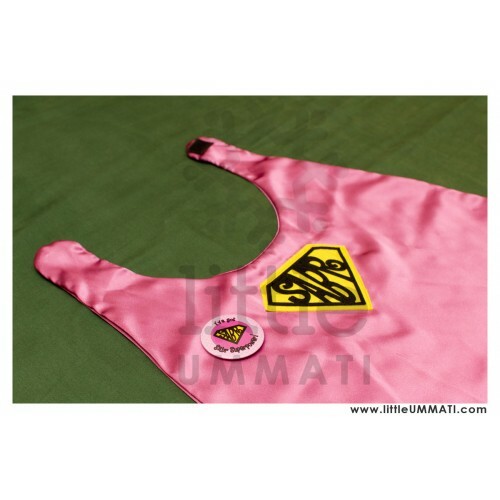 Every Little Ummati observing a day of fasting deserves this adorable super hero cape, because of course it takes the "sabr super power" to make it through a whole long day without any food and drink! Making this a perfect roza-kushaai present. 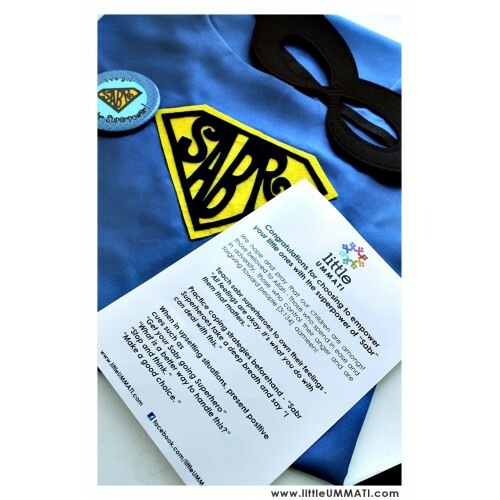 Cape comes with a cool mask and the sabr superpower badge of honor in 5 different colors to choose from!